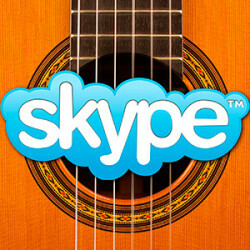 Online guitar lesson with Jozsef Eotvos via Skype! You have now a chance to get an online lesson by Jozsef Eotvos! You will need the Skype software (www.skype.com) camera, microphone! Hungary is at GMT+1. In other words, when it is 8 PM in Budapest/Hungary, it is 7 PM in London, 2 PM in New York and 4 AM in Tokyo. Jozsef can teach in German, English, Hungarian. See your time HERE! When you don't would like to ask him about your interpretation of a full work, but would like to ask him about your playing-practicing techniques, please try select short passages, or your problem-parts from the pieces that you need to improve so that you can concentrate and take full advantage of the lesson. Tune your instrument using a tuner at 440Mhz. Do not feel intimidated because Jozsef a professional musician and he has been teaching classical guitar for over 25 years. 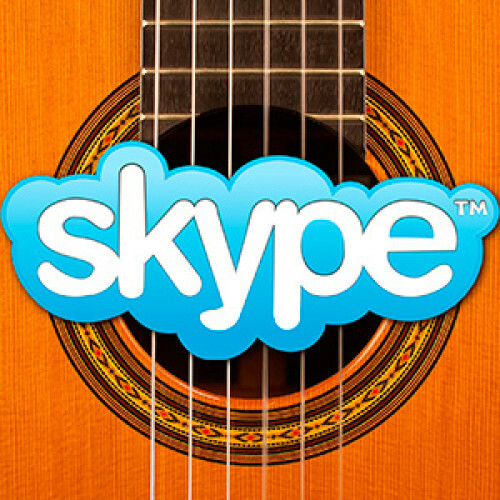 Skype must be installed on your PC and you should position yourself in front of the camera so as to see both hands and your playing position. Try to have a good light source nearby. You will use video as long as it goes on smoothly. The class can be given - only as a last chance - using audio only. Jozsef need to see you to play, because to adjust your sitting position and give you hints on the angle of attack to the strings. Depending on the type of connection between you both, the information will flow more or less fluently.